Whiteheads and blackheads are both a form of comedonal acne -- acne caused from a clogged follicle filled with dead skin, oil and bacteria -- that pops up under the skin. Whiteheads occur when the clogged plug gets trapped under the surface of a pore. Blackheads occur when that plug is exposed to air, oxidizing the material and turning it black. You can minimize blackheads and whiteheads by cleaning your skin to keep it oil-free and treating existing ones using products such as pore strips and face masks. Reduce whiteheads and avoid unsightly post-acne scarring by drying them out with benzoyl peroxide cream or gel. After washing your skin with a whitehead-targeting facial wash that contains benzoyl peroxide or salicylic acid, pat your face dry with a towel. Then, using your fingertip, apply the cream or gel to your whitehead and rub it in evenly. To prevent whiteheads from reappearing, keep your skin clean and oil-free by washing it both morning and night. Getting rid of whiteheads by popping them yourself is not advised, because it can lead to scarring. Use a benzoyl peroxide or salicylic wash to keep your skin clean and oil-free to avoid blackheads. To help unclog the pores that cause blackheads, use a mechanized facial brush to wash your skin. Splash warm water on your skin, apply the benzoyl peroxide or salicylic acid wash to the brush and move the brush around your skin, focusing on the areas where there are blackheads. Pat your skin dry with a towel and then apply the benzoyl peroxide cream with your fingers to the areas on your skin with blackheads. To get rid of blackheads immediately, use pore strips to help pull the blackheads out of your pores. To use pore strips, wait 10 to 15 minutes after washing your skin. Then, apply the pore strip to the area of your skin with blackheads and leave it on for 10 to 15 minutes. Slowly peel off the pore strip, using your fingers, starting from a corner and moving toward the center of the strip until it's completely off. You may see the blackheads on the strip. 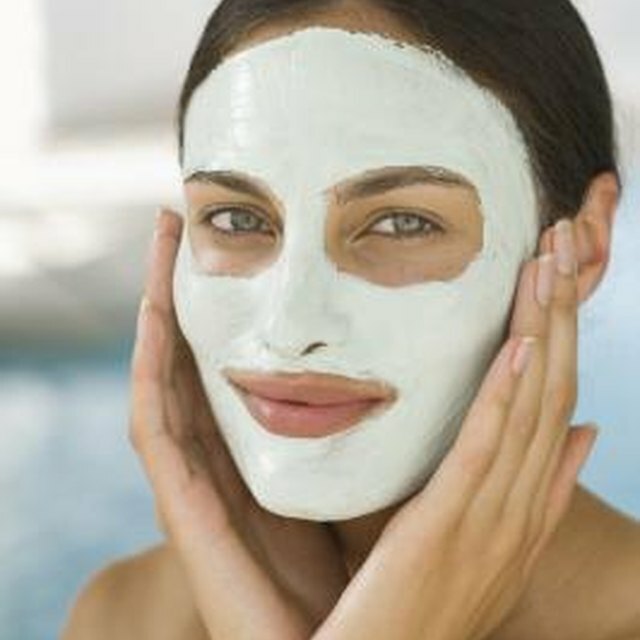 Use oil-absorbing facial masks, such as clay, to dry up and prevent both whiteheads and blackheads. These masks work by keeping your pores oil-free. Apply a clay facial mask two to three times a week after washing your face and before applying on any creams. After washing your face and patting it dry, slather your clay facial mask all over your face. Then, leave it on until you start seeing it dry. You can tell the mask is drying when it turns lighter in color. Touch your face to see if the mask is dry but still a little sticky. When it is, wash the mask off with warm water. Pat your face dry with a towel. Drinking plenty of water and exercising improves your blood flow, facilitates removal of cell waste and reduces stress, which can help your skin look refreshed and prevent formation of blemishes. For sensitive skin, dermatologists recommend using the salicylic acid wash rather than the benzoyl peroxide wash, as benzoyl peroxide can result in skin irritation in sensitive skin. Seventeen: How Can I Get Rid of Whiteheads? Anna Lei writes mostly about fashion, style, music, and travel. She majored in English and Creative Writing at the University of Notre Dame. Her work has been featured in Huffington Post, Conde Nast, British Vogue, TOOVIA, and CollegeFashionista.